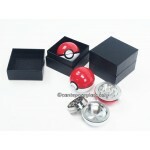 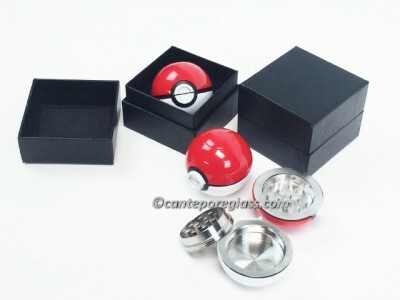 40mm 3Size: 52mm 3 part grinder Diamond teeth Magnetic closure Poke ball design Gift box Parts metal red, black and white pokemon color grinder on gift box. 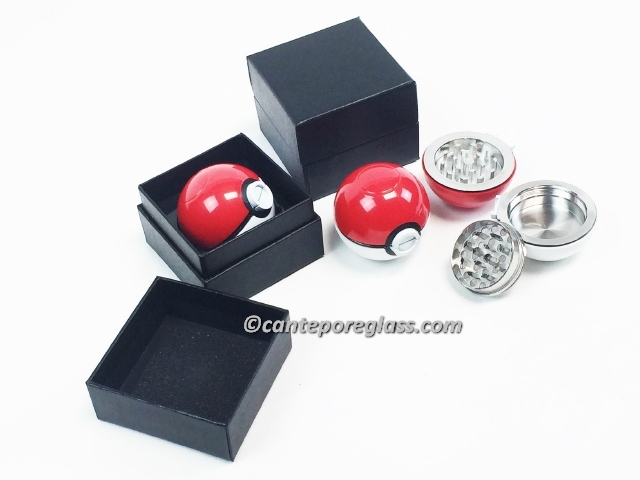 When it comes to fine grains of herb, you’ve gotta’ catch ‘em all making the 52mm Poke Ball Grinder the ideal weed grinder for the job. 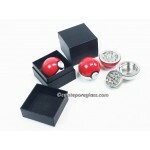 Fashioned to resemble a Poke Ball, this 3-part grinder features the convenience of a trusted magnetic closure on gift box. 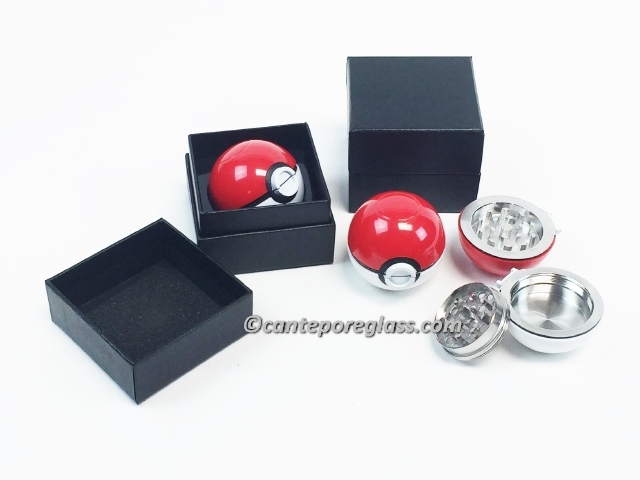 Metallic diamond-shaped teeth chomp into flower, making short work of even the most tenacious nugs.